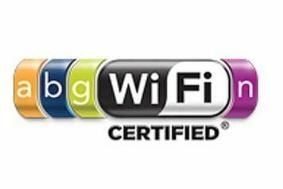 802.11n finally ratified as a wi-fi standard | What Hi-Fi? 802.11n has been around for many years, having first been mooted as far back as 2002, and it's been part of computers, routers and other devices for a long time. But it's only now that the Institute of Electrical and Electronics Engineers Standards Association has ratified it as a finished standard at the end of last week. It did so in the form of a 560-page amendment to the IEEE802.11 standard, but to save you all the reading suffice it to say that all products sold to date as '802.11n draft' will work with it. IEEE802.11n allows for data transfer at up to 300Mbps, instead of 802.11g's 54Mbps, and over indoor distances of up to 90m, twice the range of 802.11g.